1) Researchers discover a new aroma molecule which is safe, pleasant, easily manufactured, and cheap to produce. 2) Company, whose market research tells them this is something that will sell, makes massive quantities of this molecule and sells the liquid to perfume manufacturers as the New Big Thing. 3) Manufacturers tell their in-house perfumers to employ the new molecule in everything (they've got a lot of it to get rid of). 4) Resultant perfume sells well due to some mysterious combination of marketing and zeitgeist (actual quality is completely irrelevant). 5) Everyone else jumps on the bandwagon, because in the world of commerce, the only good bet is a safe bet: every perfume manufacturer wants a risk-free way to make something that will sell as well as something someone else already made, and the best way to do that is to make a near copy. 6) Eventually, tastes change and people get tired of the New Big Thing. 7) Researchers in the meantime discover another molecule and off we go again. When YSL's M7 was launched in 2002, oud, aka agarwood, was still an uncommon ingredient in Western perfumery, costly and time-consuming to produce (and from an endangered resource to boot), and it's possible that M7's oud was the real deal, but now it's safe to assume that most or all of the oud used in commercial perfumery is a less expensive synthetic. At least a hundred scents launched last year contained oud, and since oud has a way of dominating everything it touches, it seemed to be literally everywhere in more than one sense. Rose Anonyme — an incomprehensible name — contains oud, which means it has a dark, mucky overtone amplified by the addition of patchouli, which means in turn that Rose Anonyme is yet another rose-patchouli scent in a marketplace already awash with them. 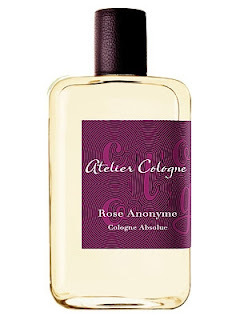 It's intensely rosy, I'll give it that: and it's not quite like any other rose scent I know of. But it's also not entirely pleasant. I'm not enough of a philistine to think that every scent has to be immediately or persistently attractive, but I do think that there has to be at least some point in the evolution of a fragrance that you aren't thinking of scrubbing it off just to be rid of it. As I have said any number of times, orange blossom doesn't usually work for me: unless it is a minor player, unless it is kept in careful check by other ingredients, I nearly always find it noxious and oppressive. Like any perfumery note, it has its die-hard adherents, but with minor exceptions such as Dior's Fahrenheit 32, which adds enough vanilla to take the curse off it, the attraction of naked orange-flower has always evaded me, until now, because Seville à l'Aube — "Seville at dawn" — is ravishing. It took me a few wearings to really get it, to adjust my nose to this new experience, but once that had happened I found I couldn't get enough of it. 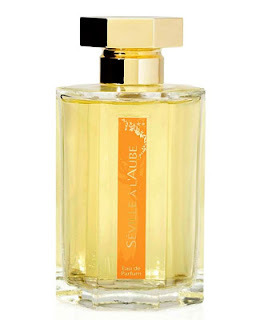 Seville à l'Aube is approximately a soliflore, but not a brutally single-minded one like Gorilla Perfumes' version: there is decoration and embellishment, but just enough to give it interest, to keep it from being boringly monochromatic. The top is spicy, with a splash of breezy lavender, and the base is a contrast of vanillic benzoin and dry incense, all notes that can and in this case do read as masculine (or at least unisex-trending-masculine): but they are bookends to the star of the show, an orange-blossom which seems to glint and shimmer like a diamond held up to the sun, now creamy and plush, now sharp and focused. It is the smell of pure happiness. Seville à l'Aube is glorious, quite possibly perfect. How did I never know that orange blossom could smell like this? Tom of Finland was an artist who liked to draw shall we say pictures of genetically exemplary gentlemen enjoying one another's company in various ways. On the one hand, you would expect that a scent named after Tom of Finland would consist entirely of an excess of masculinity: tobacco and leather, say, maybe rum or bourbon and perhaps some sweaty cumin, a hint of black rubber or vinyl. On the other hand, this is Etat Libre d'Orange we're talking about, and they generally have no intention of doing anything anyone would expect of them. Consequently, their Tom of Finland starts out with fresh citrusy aldehydes which disperse to reveal a fresh, soft-green outdoorsy scent with a hint of warm sweetness underneath. And then it turns into leather! 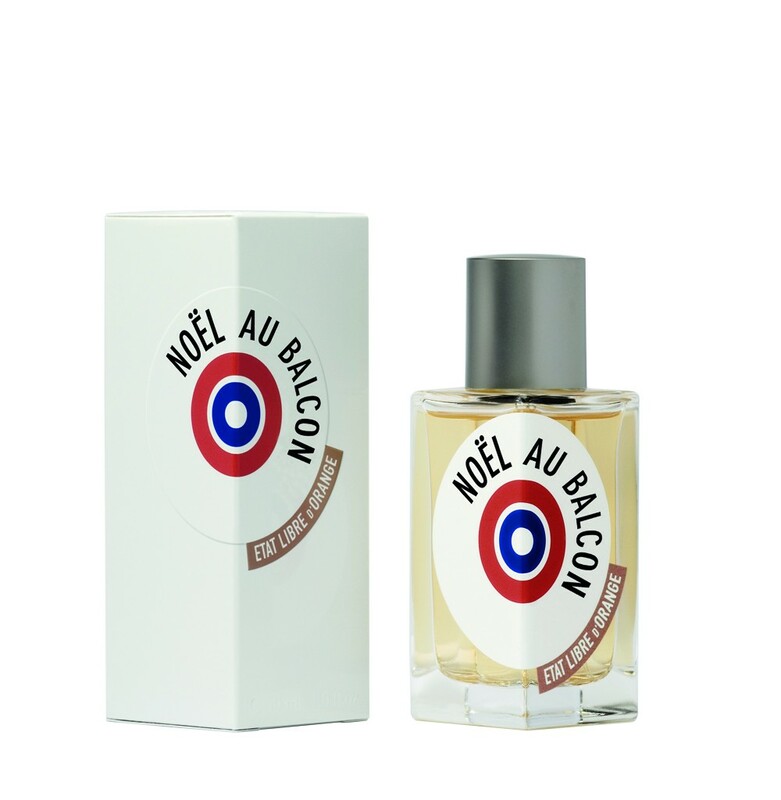 It could have been the harsh tarry leather of Eau de Fier, but instead it has a creamy-smooth surface and an abundance of vanilla, even softer and sweeter than Jacomo Art Collection #2. It lasts forever, hours and hours and hours without flagging. Despite the hyper-masculine imagery, it's wearable by any woman who wants a supple-kidskin kind of leather scent without any fruit or flowers to get in the way. I admit to not liking it at first, partly because I didn't get it (you'd think by now I'd be used to ELdO confounding all my expectations) and partly because ELdO is such a mixed bag that it never surprises me to discover that I really dislike something of theirs, so I wasn't prepared to either love it or hate it. (I've yet to come across one of theirs that I genuinely hated, though I suppose it's only a matter of time.) But I wore Tom of Finland for a few days and it's grown on me in the worst kind of way: I don't need a full bottle and I'm determined not to buy one, although it's awfully nice and you can never have enough leather scents, so I guess in a moment of weakness anything is possible.